Whether your are looking for a specific equipment type, or you’re just not sure, the transportation experts at Logistics Plus® can help you with a wide range of owned or brokered equipment options in order to meet your needs. Do you know the difference between a flatbed and a step deck? Dry van versus a Conestoga? Lowboy versus a Gooseneck? Even if you’re not sure what equipment you might need to move your important freight shipment, the experts at Logistics Plus probably have what you need – or they can get it for you. But in case you’re really curious, here’s a quick primer on the different types of truckload transportation equipment you might encounter. 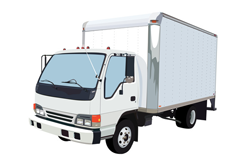 A straight truck, also known as a cube truck, cube van, box van, or box truck, is a truck that carries cargo on the same chassis as the power unit and cab. These types of trucks are often used to move furniture, home goods, and smaller items, or for “hot-shot” expedited freight deliveries. Dry Van trailers are generally enclosed and are commonly used to carry and protect freight from the harmful elements of the weather or the roads. Your shipment can be loaded on the rear of the trailer, normally using a loading dock. In cases where a loading dock is not available, some trailers come equipped with liftgates that can help get your freight from the ground to the trailer and back again. Flatbeds are extremely popular and are widely used because they are very versatile. Generally, a flatbed is used to load freights on its tip, sides, and rear. With these capabilities, flatbeds have become a primary and leading assets of the trucking industry. Stepdeck Trailers are otherwise known as drop decks and they are actually a variation of the flatbed trailer design that mainly consists of a bottom and top deck. These trailers are specifically designed to haul freight that cannot be transported on a standard type of flatbed, often due to height restrictions. Step decks can be open or they can also be enclosed in a dry van or Conestoga style of trailer. Conestoga trailers come with a rolling tarp system that is used to cover and uncover the trailer and gives protection to the freight. The benefit of a Conestoga trailer is that the tarp can be rolled back to allow side loading or unloading of freight. RGN or Removable Gooseneck Trailers are excellent for carrying tall or long freight. An RGN trailer comes with a detachable front, allowing the trailer to be dropped on the ground in order to create a ramp. It is capable of carrying freight weighing up to 150,000 pounds. It can go from 3 axles up to 20 plus axles for heavier shipments. RGN Trailers are more specialized so they are also generally more expensive. The Stretch RGN or Removable Gooseneck Trailer is designed to haul freight that is too long to be carried by a standard type of RGN. Depending on the weight of the freight, axles may range from 3 axles or higher. This means that the heavier the load is the more axles are to be used. A Lowboy Trailer is an unpowered trailer which is commonly used to haul freight. These kinds of trailers are generally designed to carry and transport taller items. This means that the items to be carried by a Lowboy Trailer are taller than the legal height of items that are commonly carried by flatbeds. The types of trailers are also good for hosteling freight between loading docks or within a freight yard. A refrigerated trailer is a temperature-controlled unit. It is generally used for transporting chilled or frozen products. The temperature inside the trailer can be controlled no matter the outside weather conditions. Refrigerated trailers are very specialized and take additional fuel to keep the cooling mechanism running, and therefore more difficult to source and more expensive than standard equipment. Specialized trailers are specifically made for certain types of freight commodities or substances and include such equipment types as tank, perimeter, double gooseneck, and dolly trailers. Whether your are looking for a specific transportation equipment type, or you’re just not sure, the truckload transportation experts at Logistics Plus can help you with a wide range of in-house (through our NTL sister-company) and brokered equipment options in order to meet your needs (which is why Transport Topics ranked us one of the top freight brokerage firms in North America). Contact us for more information or request a quick quote on your next truckload freight shipment.